KIEV, Ukraine -- Rain lashes the ninth-floor balcony from which Ukrainian prosecutor Sergei Melnychuk was thrown to his death. Many former allies who could tell most about the oligarch Rinat Akhmetov’s activities have been found dead. On the concrete below, his portrait and a few candles in glass jars form a meagre memorial. Wind off the Black Sea has dashed one jar to the ground, the shattered glass a grim reminder of his body after the fall. Ukraine’s war with Russian-sponsored separatists is not the only conflict in the country. Across the post-revolutionary nation, reformists inside and outside government are fighting to free corrupted state institutions from the stranglehold of a few incredibly wealthy businessmen. Largely fought behind closed doors, this conflict spilled into the public arena when between 19 and 23 March the billionaire governor of Dnipropretovsk region, Ihor Kolomoisky, sent Kalashnikov-wielding men with gas masks to seize the Kiev headquarters of two state-owned energy enterprises. He was promptly sacked by billionaire president Petro Poroshenko, but the powerplay is far from over. Feuding oligarchs are battling to retain or increase their influence in the new order, and their lieutenants are turning up dead. Melnychuk was a prosecutor in the southern port town of Odessa, governed by Kolomoisky ally Ihor Palytsia. He is just one of at least eight officials appointed by the Yanukovych regime, ousted by pro-democracy protesters in February last year, to die in mysterious circumstances over the past three months. And Ukraine’s law enforcement doesn’t want to talk about them. When Melnychuk’s body was found on 22 March, police initially told local journalists he had committed suicide. But it soon emerged that alarmed neighbours had called police on hearing of a late-night struggle. Pathologists found he had been badly beaten before the fall. Later the same day, Odessa prosecutors registered Melnychuk’s “suicide” as a murder, and arrested a former police officer they describe only as “citizen K”. In reply to a legal request by Newsweek for information on investigations into the deaths of seven other former officials, all tied to Viktor Yanukovych’s Party of Regions, the General Prosecutor’s Office responded that all the information about all the deaths was a state secret – a staggering claim to make about a series of apparently unrelated civilian deaths they told the press were suicides. After an intervention by the Presidential Administration, the General Prosecutor’s Office disclosed that four of the seven deaths are being investigated as murders, with another investigation as yet unclassified. The two remaining cases had been closed with no evidence of a crime. At the heart of this murder mystery is one wealthy businessman in particular – 48-year-old billionaire Rinat Akhmetov, Ukraine’s richest man with a fortune estimated at $7bn. A former lawmaker for the Party of Regions (rebranded as the “Oppositon Bloc” for the current parliament) he retains serious clout in the country through his purchasing power and long-standing allies in law enforcement and parliament. “Ahkmetov was the grey cardinal of the Party of Regions,” says Dmitriy Hnap, an investigative journalist for Ukrainian TV channel Hromadske who has spent more than a decade reporting on the oligarch’s activities. Ukraine’s new government has opened numerous criminal probes into those political actions, but with several of those who knew most about Akhmetov’s activities now dead, they can never be compelled to testify in court. On 9 March Akhmetov’s fellow Party of Regions lawmaker, Stanislav Melnyk, was found shot dead in his home with a suicide note. 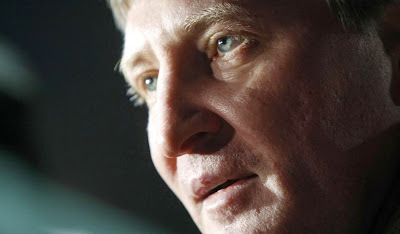 Widely known as “Akhmetov’s guard”, Melnyk ran a security firm that looked after the assets of Systems Capital Management, a holding company set up by Akhmetov to manage his diverse range of investments. Melnyk’s relationship with Akhmetov goes back to the 1990s when budding oligarchs all over the collapsed Soviet Union acquired state-owned enterprises for a fraction of their real value, often using coercion or violence to do so. In 1999 Melnyk assumed management of Donetsk Brewery, a state company acquired by its Soviet-era manager, Yuri Pavlenko, in 1991. Pavlenko was murdered in 1998, allowing Akhmetov’s Systems Capital Management to acquire it through a complex network of other holding companies. Melnyk headed the brewery until 2005, when he moved to head Luks, another firm controlled indirectly by Systems Capital Management. Both companies have spent more than a decade dominating the lucrative Ukrainian beer market, making a number of hostile takeovers in Akhmetov’s home region of Donetsk. “Melnyk knew a lot about Akhmetov, about how he acquired state property,” says Hnap. Three days after Melnyk’s death, another former Regions MP and the former governor of Zaphorizhia region, Oleksandr Peklushenko, was found shot in the neck at his home. Peklushenko was closely tied to Akhmetov’s business interests. In 2011, the first year of his governorship, System Capital Management’s enormous subsidiary Metinvest acquired 50% of a company called Industrial, giving it control over a majority stake in Zaporizhia’s former state steel producer, Zaporizhstal. Shortly prior to the deaths of Melnyk and Peklushenko, the lives of Mykhaylo Chechetov, Oleksiy Kolesnik, Mykola Serhiyenko, Serhiy Walter and Oleksandr Bordyuh were all cut short between 26 January and 28 February. All appointed by the Party of Regions, all were under investigation by the new government. Chechetov, once the party’s deputy chairman, oversaw the sale of billions of dollars’ worth of state assets when head of Ukraine’s State Property Fund. He was bailed out by an anonymous benefactor and awaiting trial when he fell from his 17th floor apartment, leaving a suicide note. One of the assets sold under Chechetov was an iron ore mine, KZhRK. That deal is now the subject of a mud-slinging lawsuit in the UK High Court between ex-Dnipropretovsk governor Kolomoisky and another prominent oligarch, Viktor Pinchuk. The third businessman to benefit from the sale was Rinat Akhmetov. Chechetov and his successor at the State Property Fund, Valentyna Semenyuk-Samsonenko, would have retained a wealth of knowledge about the privatisation of some of Ukraine’s most valuable assets. But Semenyuk-Samsonenko was found shot dead in August last year. Law enforcement officers concluded that she had killed herself with her husband’s hunting rifle. Without the benefit of crime scene evidence, it’s impossible to know if Akhmetov ordered hits on his old allies, if someone else did, or if nine affluent individuals simply succumbed to the pressure of being under investigation. That’s the line taken by the former administration. “I still consider it suicide. I don’t consider these expert opinions that they knew too much to be serious,” a former top official from the Yanukovych administration tells Newsweek. Watching the country’s top prosecutors leaving the General Prosecutor’s Office in sharp suits and stepping into gleaming Porsches, BMWs and Land Rovers, it’s clear that the average state prosecutor’s wage, equivalent to €400 ($430) per month, isn’t their only source of income. Within the same building, officials are representing an array of different interests. With such great wealth at stake, the truth about these deaths is unlikely to emerge any time soon. Back in Odessa, three prosecutors laugh as they dismiss allegations that their office tried to cover up Sergei Melnychuk’s murder. They have good reason to be happy. They’re off to the Rugby World Cup in London later this year, an event where one ticket to a group stage game sells for the equivalent of €400.